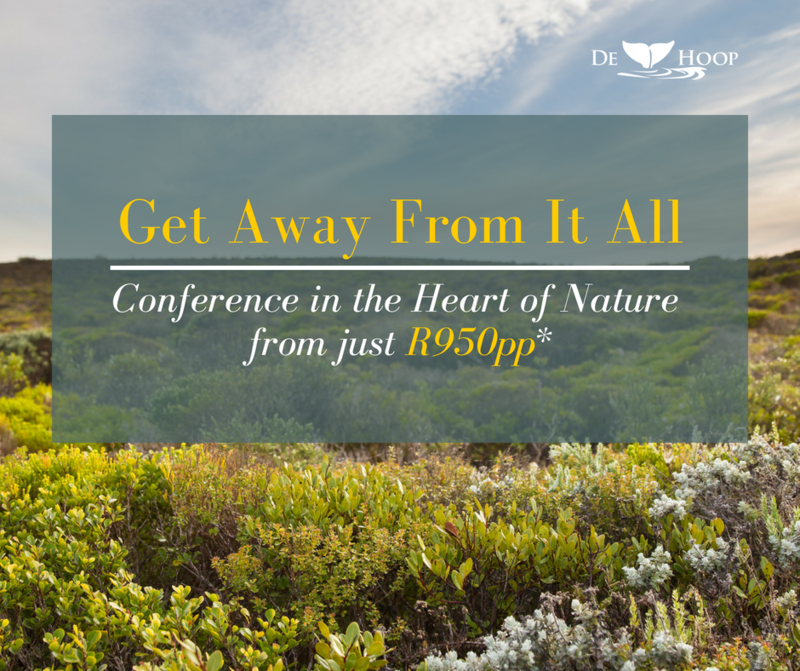 De Hoop Collection offers a wonderful venue for a ‘get away from it all’ conference in the heart of a beautiful Nature Reserve teaming with animal and bird life – from graceful bontebok and statuesque eland, to the ever quirky ostrich. Over 200 bird species can be found at the reserve thanks to the breath-taking fynbos plains, and a 19km fresh water Vlei popular with pelicans and flamingos. Just down the gravel road lies an unspoilt coast line dotted with turquoise rock pools and bordered by pristine dunes. During whale season the sea becomes a playground for the Southern Right Whale, amongst other whale species. Back at the De Hoop Collection Opstal, the Cloete Room serves as the main conference facility which can seat up to 50 delegates. These delegates are easily accommodated in a range of room and cottage options – mostly within walking distance of the conference facility. Tea breaks can be enjoyed outside under one of the towering fig trees, while lunch is served at our Fig Tree Restaurant, or opt for a picnic option, and dine overlooking the expansive Vlei. Professional team building activities can be arranged, maybe include a scavenger hunt, or even a wine and food pairing evening in your timetable. A range of guided activities are also available on site such as fynbos and marine walks or guided mountain bike or quad bike trails.